Home > Chandeliers > Pendant Lights > Modern > Alcove Satin Nickel Industrial Pendant Light 13"Wx7"H - Sale ! 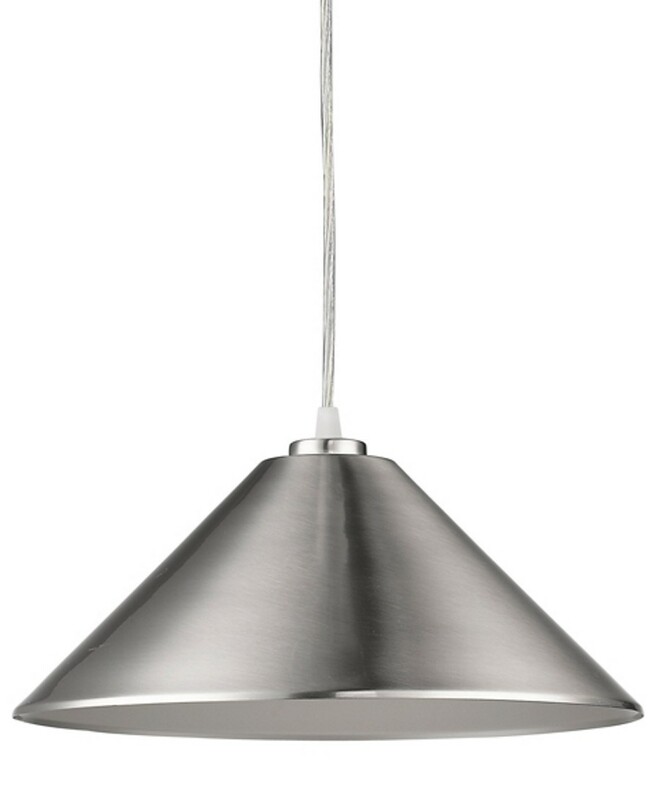 Alcove Satin Nickel Industrial Pendant Light 13"Wx7"H - Sale ! Simple satin nickel mid century modern industrial warehouse pendant light has clean chic styling and hangs from nickel cord.